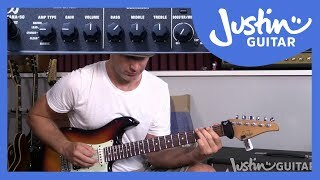 I have many students asking about amp settings and so I really needed to settle on a great affordable amp to help students get their sounds sorted and I think I've settled on the Boss Katana - almost all the teachers I know (and guitar store folk) say that it's the best affordable amp out there for beginners - and many pro and semi-pro players are using it too! I just did an 'unboxing and exploring' video and am getting my teeth into it more and figured I should start documenting tips and tricks here for those that have one - I will make some videos of course - but some stuff like settings and technical explanations are probably better on a web page! The PATCH you can import into Boss Tone Central will only be accessible to registered users so make sure you're signed up! Please note that I was given the amp by Boss but this is not a paid endorsement, that's not my style. In this little video, I unbox and get stuck into a Boss Katana 50 - amazing budget amp with incredible feature set! 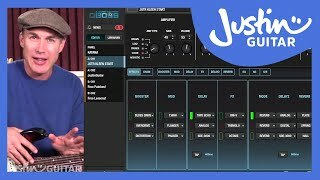 Few people asked how to install the Boss Tone Studio software - essential to get my presets and deep editing - and not as complicated as you might think! 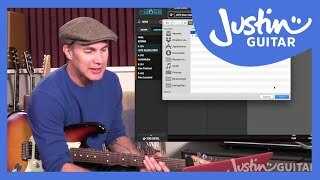 In this lesson I take you through how to import a patch into the Boss Tone Studio software and into your amp! 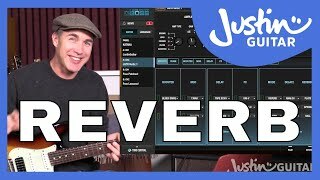 In this lesson I take you through all the features of the Boss Tone Studio and explain how it works and what all the bits do! 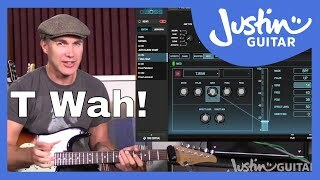 I love me some touch wah, such a fun and expressive effect - and once you get under the skin of it - there's a lot you can tweak for your style! A nice tasty clean sound with some choice effect setting to explore! As promised I've started on making a bunch of patches for your Boss Katana Amps :) Some sounds have multiple patches to cover different sections of the songs. Many more to come soon - if you enter TSL into the search engine at top of the website, you'll see all the patches I have at this time - or scan below! Please let me know in the comments if you dig them, what stuff you'd like to see and if you have any suggestions for tweaks - I'm always open for constructive criticism! Nailed the intro sound I think - this was fun! On my Gretsch Malcolm Young this sounds killer, but great with other Gibson type guitars too! All the sounds you need for this classic! This is still one of my all-time favourite jam along songs - even more fun with this sound! Just a great clean tone! Nothing fancy... your guitar and your fingers will have a lot to do with the tone here to be fair! One of the all-time classic guitar intros and one you should have fun with!